The TECOH® FLx are designed as the perfect replacement for conventional fluorescent lighting in new luminaires. The TECOH® FLx are designed in line with, but not limited to, Zhaga book 7. 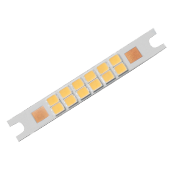 The TECOH® DFx is a rectangular-shaped LED module offering a high quality white light. To be used with diffusers as an alternative to traditional compact and circular fluorescent lighting. 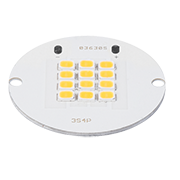 The TECOH® RLx are round shaped constant current LED modules mainly intended for general lighting applications. The modules are to be used with a diffuse cover. 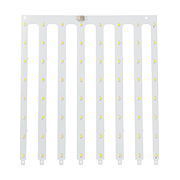 The RLx modules allows for cost competitive LED upgrades. 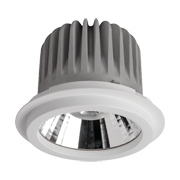 The built-in optics and heat-sink simplify the upgrade to a high efficient LED solution. With diameters of 50 and 111mm, the TECOH® THx modules are suitable LED upgrades of low efficient PAR16, MR16 and AR111 halogen products. The TECOH® PLx are hand-shaped LED modules. 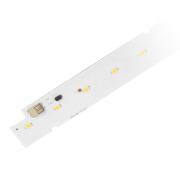 These highly efficient modules are the ideal fluorescent alternatives for flat luminaires with diffuse covers. PLx modules are self-cooling and so do not need specially designed heat-sinks for reliable operation. The TECOH® RDx are round disc LED modules which are non-socketable and require an external electronic driver. The TECOH® RDx modules are designed in line with Zhaga Interface Specification Book3.